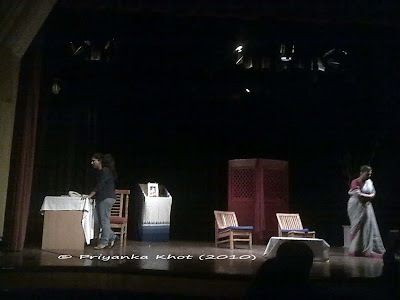 I went to see a Bengali play yesterday. Though, I don't understand the language, this one had me crying like a baby. A very sad story dealing with the serious issue of child molestation by a family member, the actors were able to convey the emotions to even the significant non-Bengali viewers, who had come to see the play. Just a four-character play, the acting of the girl, my namesake Priyanka, had me reaching for the tissues. The lady who played her mother was exceptional. The exchanges between these two was heart wrenching. 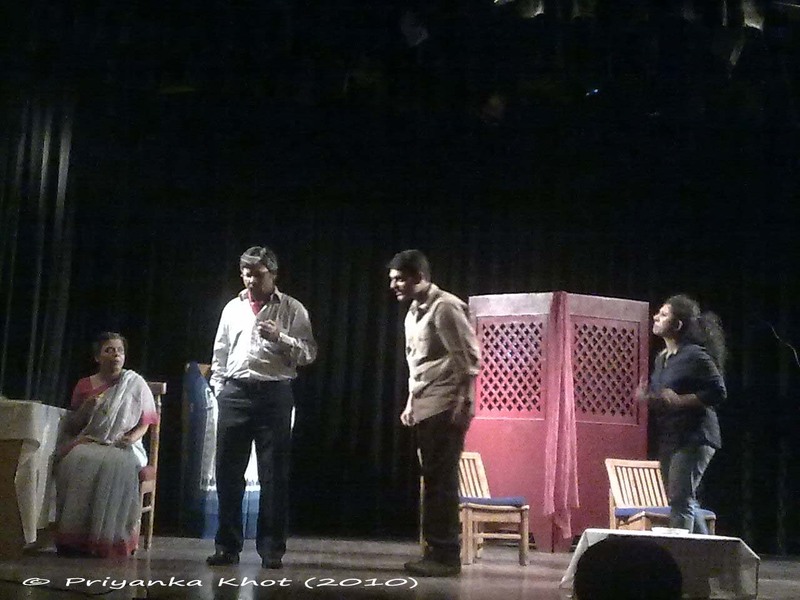 I was so engrossed in the play that in the end when all of us went to the stage to congratulate the actors, I could not muster up the courage to talk to the man who played the role of the Mama, maternal uncle who rapes his sister and her daughter as well. My friend, Kaushik, essayed the role of the girl's boyfriend. He helps her confront her uncle and deal with the trauma. He was very convincing as a person who could be trusted in a situation like this. Exceptional performances by the four will be remembered by the viewers who came to the show for a long time to come. I really wish more of my friends had come to see the play. 30 DIN was brilliant to say the least. it could cost you lot ..
wonderfully captured in the available light! am glad that these crimes are being exposed now. Hearty Congrats to the wonderful actors and the Director. I missed the show once again! July Theme Day: Reflections: Where do you go?